MSC Cruises is now the world’s largest privately-owned cruise line. The company was founded in Italy in 1988, is registered in Switzerland and has its headquarters in Geneva. 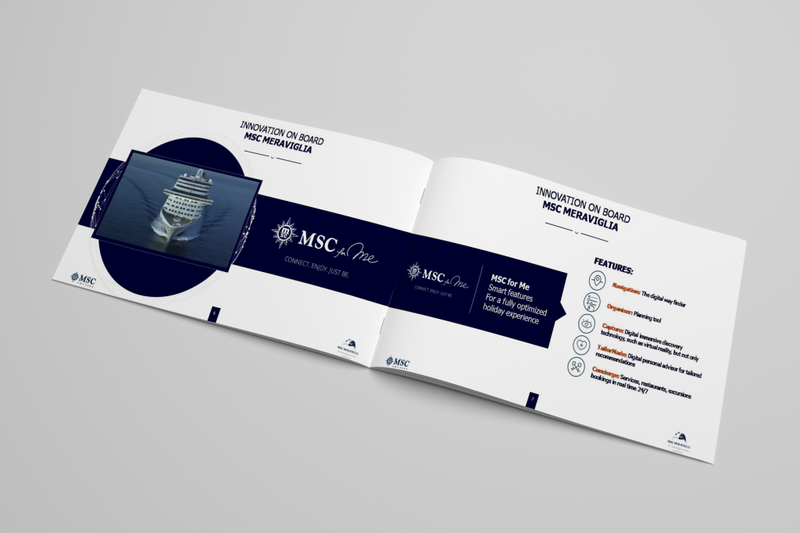 With deep Mediterranean roots, MSC Cruises successfully combines a detail oriented professional style service and Italian beauty, in order to offer unforgettable travel experiences. 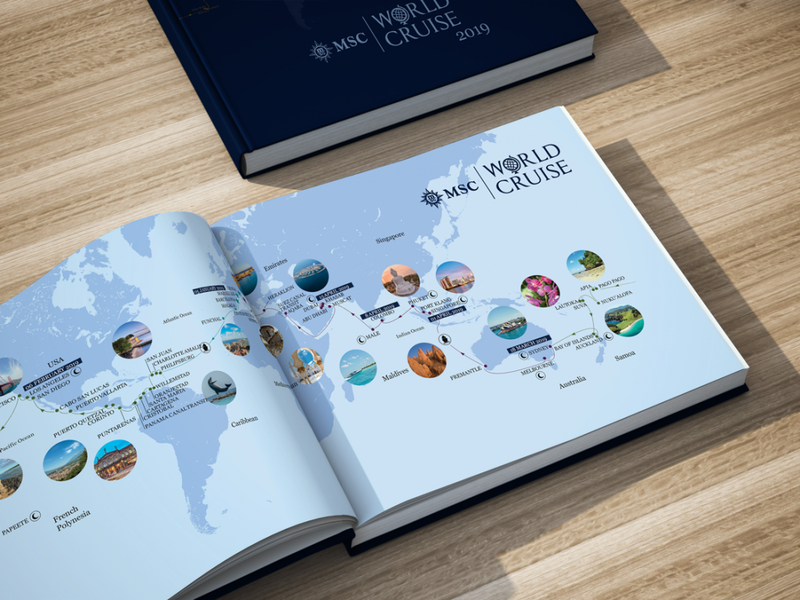 Employing over 17’000 staff globally, MSC Cruises’ fleet of ships travels in 67 countries around the world, all with one common goal – to allow people to enjoy an upscale and relaxing onboard experience. 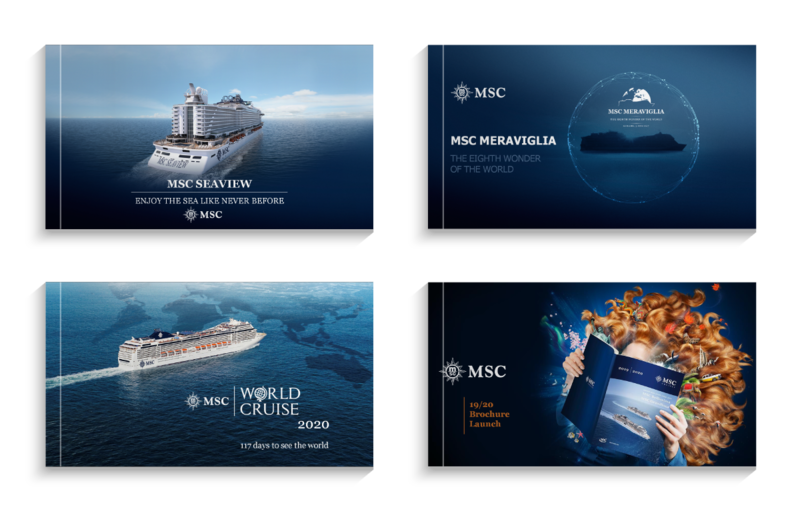 Our mission at Minthical was to express in a vibrant way what MSC Cruises’ values are: innovation, hospitality, exclusive luxury. We started from the initial concept and developed the idea of a Mediterranean way of life into bright and inspiring presentations. 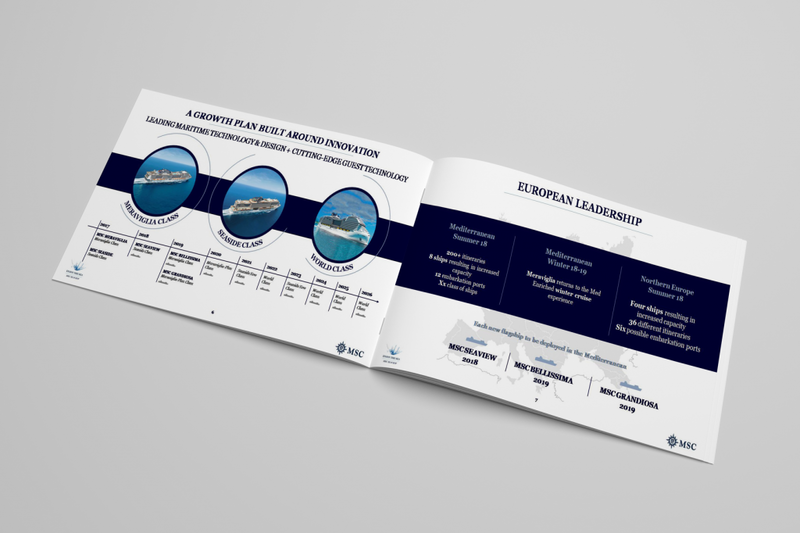 We explored the unique itineraries and designed creative layouts of personalized booklets and guidelines, to offer world cruisers a glimpse of the destinations. For a more authentic experience, we have developed video content which we consider to be a versatile tool to inspire and entertain audiences. 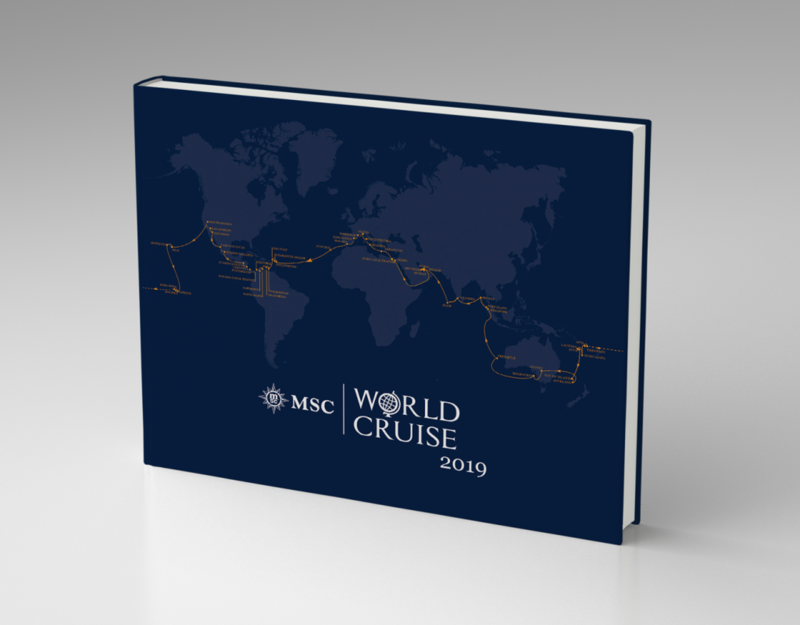 We found very interesting the concept of creating a personalized travel diary especially for world cruisers, as a souvenir from their one lifetime experience, a way to write notes and memories, glue pictures or tickets. The goal was for cruisers to reminisce about the best moments of life onboard and share them afterwards with family and friends. Our input here was designing an interesting layout, visually emotional and inspiring and create the best entertaining gift. Effective communication skills are fundamental to the success of MSC. This is the reason why we designed a video presentation for the onboard team that compiled and structured all brand guidelines related to printed materials in an explicit and consistent manner. Working with MSC Cruises was like cruising aboard one of their ships. We explored the idea of a dream cruise and brought it to life.